PhotoDirector for Mac ticks all the boxes for photography enthusiasts. It handles all your photo management needs—combining a massive list of supported Camera RAW formats and lens profiles with powerful organization features for large photo collections; it has an extensive range of easy-to-apply filters and effects, along with precise retouching and adjustments for portraits; and it offers a truly natural way to work with layers and control images to create stunning, professional results. 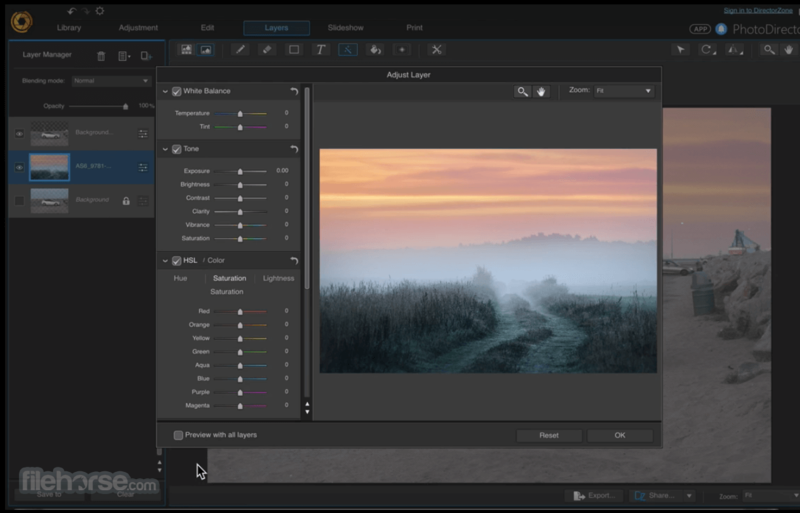 Blending layers offers amazing creative possibilities for combining multiple photos into a single breathtaking image in a way that is effortless. 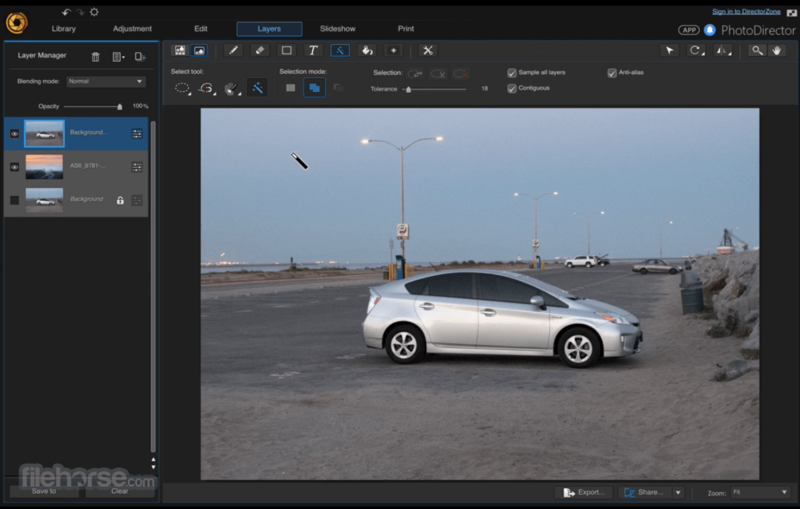 Remove objects or people from photos simply by brushing over them. PhotoDirector for Mac instantly fills spaces using an intelligent algorithm that blends perfectly with the surrounding background. No need for complicated shutter speeds or exposure settings. PhotoDirector can make impressive multi-exposure images from your videos along with offering some great customization options. Finally, an easy way to get everyone's eyes open and smiling in photos. Simply take a video of the group then use Video-to-Photo Face Swap to instantly create a single, perfect photo. Easy-to-use retouching tools make pro-like enhancements of portraits, selfies, and group shots achievable for even complete beginners. Get that unique look and feel you're after with PhotoDirector's unmatched library of photo adjustments. For the advanced photographers PhotoDirector for Mac offers extensive support for a vast selection of commercial camera lenses, bodies and RAW formats that streamlines the editing process. Color grading is an essential tool for making impressions, telling stories, and evoking responses from your video viewers. 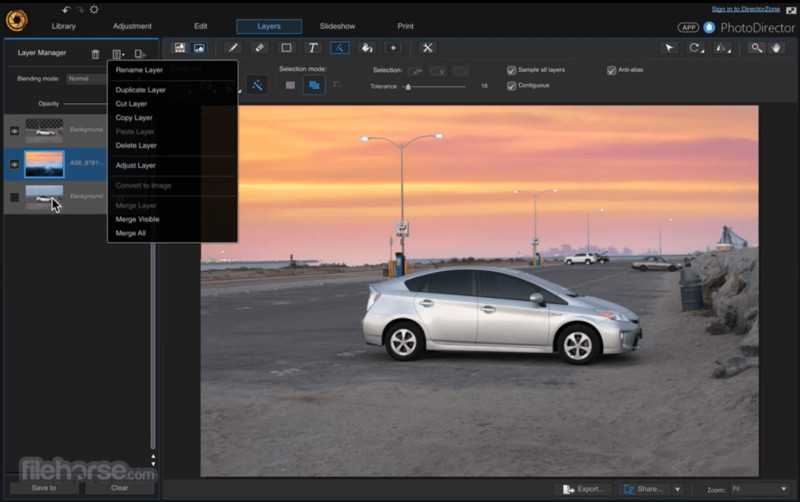 Note: Premium features are available for 30 days, after which you will need to purchase PhotoDirector Ultra to continue using them. After 30 days, non-premium features remain functional.